Drew survives by stealing other people’s bodies. He absorbs their essence, leaving them as lifeless husks, while he comes to not only look like them, but to absorb their memories and experiences. 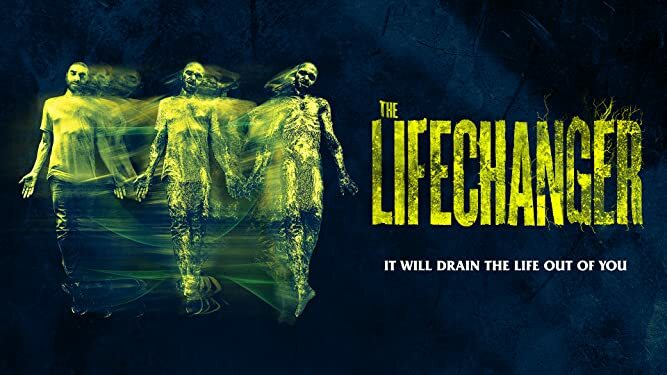 The writer/director Justin McConnell does not lack ambition, producing a script and a movie that explores what such a life would do to a person, and how they would need to function to survive. I applaud the effort, especially the shots the creator takes to use the premise to examine the human condition, culminating in a poetic monologue by the main character at the end of the film, about which I will say nothing so as to avoid spoilers. Now, as for the gender bender elements, which I will confess largely fuels my interest in these types of films, there isn’t much to savor. Mostly this results from the fact that the we enter this character’s story after he has been jumping from body to body for decades; he’s been women many times, so when he jumps into female bodies it’s just old hat for him. Had this been a first, some scenes might have popped more for me as a viewer who loves seeing gender roles reversed; for example, he gets hit on by a guy at a bar, but it isn’t the first time for him, so the usual fun of seeing a guy have to deal with being treated like a girl is blunted. The scenes reads like any girl getting hit on by any random guy. As per my comments above, just as a movie looking to say somethings about life, it’s watchable with excellent performances from the cast and professional if workmanlike camera work and production. It’s getting some buzz on the sci/fi circuit, and has found an audience, so worth checking out, but if you are seeking a deeper look at the gender issues you will probably leave feeling unsatisfied. If you just want to experience an interesting and thought provoking film, it’s an absolute yes. Thanks for reading, and look for a preview of Your Memory Mine 2 as well as a giveaway later this week! Rock on, people!